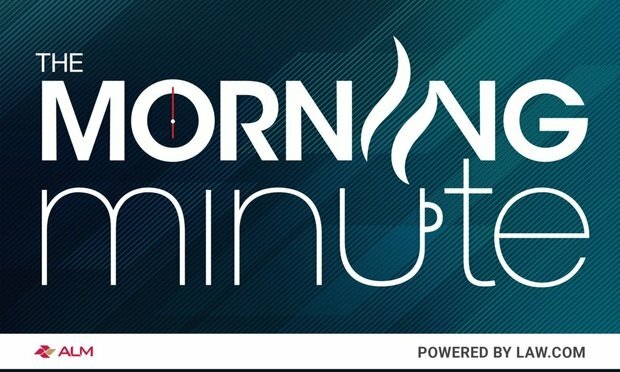 Sign up for The Morning Minute to receive the top legal news straight to your inbox every weekday morning. Law.com Editor in Chief Leigh Jones sums up the biggest headlines from across the ALM network and tells you what our reporters and editors around the globe are watching, so you can start your day informed. It’s the time-saving, on-the-go news briefing you need to make smart business decisions. Delivered at 6 a.m. ET, The Morning Minute gives you essential legal industry news and insights to jump-start your day. Sign up now.